Samsung is officially releasing its latest NX500 compact digital camera which is good news for all the photographers out there who happen to be Samsung fans. Up until the present, the Samsung company had only been producing ultra high-definition 4K television sets. However, the tech industry conglomerate has decided to implement the same 4K high-definition technology into its newest NX500 camera because of the fact that the demand of the digital camera market is increasing. Technology trends are changing on what almost seems like a day to day basis, and the sizes of these high-tech digital cameras are getting smaller and more compact. 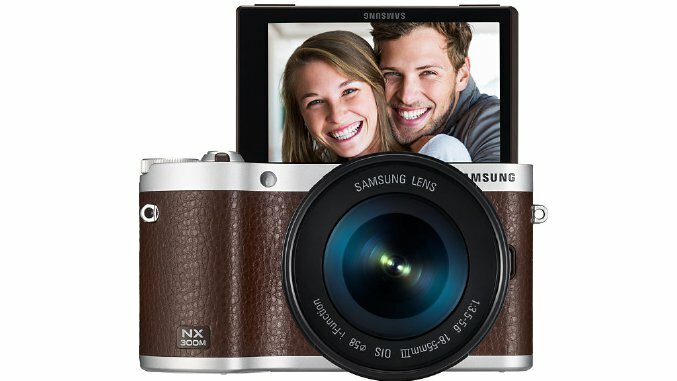 The new Samsung NX500 has much more attractive price tag than the NX-1 camera. The NX500 takes some highly-detailed 28 megapixel still photos that look incredible and bring out the most minuscule details. Additionally, it shoots 4K videos and is capable of both 4K Ultra HD at 3840 x 2160p and cinematic 4K at 4096 x 2160p. It can shoot the 4K Ultra HD videos at 30 frames per second and the cinematic 4K videos at 24 frames per second, which is a reasonably decent speed. It will be featuring a thin and portable size, a 3-inch super AMOLED touch screen, and a 16-50mm power zoom lens. It will be available in the color silver, and its leatherette covering will be available in white, brown and black color options. It also features a flip-up screen and BSI-CMOS designed APS-C image sensor. The Samsung NX500 is designed with a default HEVC format. This format is considered the most efficient for recording because it doesn’t command a large amount of storage space; therefore, it works very well while also producing high-quality video. The HEVC is also considered to be one of the key factors, acting as a bridge between UHD and 4K. Features such as interval capture mode and autoshot make the Samsung NX500 even more appealing to purchasers and the DRIMeV processor can potentially analyze pictures at 4 millisecond intervals. It can then foresee the best possible instant to capture the photo, and then takes the shot. The Samsung NX500 will be competing with the A600. It will be officially released in March and will be priced at around $800. Both HP and Microsoft could very well have set the world on fire earlier this year, after they together launched the HP Stream 13, and yet still that reduced price is being overshadowed by an early Black Friday 2014 from Microsoft. Opening on Monday, the price tag was just $199 when customers purchase it through the Microsoft Store retail website. Microsoft included the laptop to its Black Friday 2014 deals and at this moment their Black Friday 2014 deals page presents three active offers: the HP Stream 13 for $199, as well as the HP Stream 7 for $99, and the Beats Powerbeats 2 Wireless In-Ear Headphones for $179.99 which seems to be out of stock already. 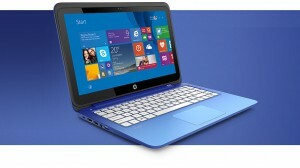 The hardware sports a 13-inch hi-def screen, 2GB of RAM and 32GB of storage. The inside is running on a basic Intel Celeron processor. There’s a front-facing 720p cam web camera for online video communicating in the HP Stream 13’s notebook body. The body is available in light-blue, which includes a white keyboard. The 13.3-inch display size is to be just more than suitable for the laptop, and the battery comes with a remarkable 7.5 hours on a charge, according to HP. Keep in mind that this is not designed for powerhouse computing, but rather the basics: email, the Web, Netflix and home-level efficiency, the Stream contains a one-year membership to Microsoft Office365 Personal. Ordinarily, 12 months membership would cost $69.99 and features Outlook, OneNote, Excel and Microsoft Word. After that initial year users will require to re-new the subscription at the regular price. Users may likewise break that down into monthly $6.99 payments. There doesn’t seem to be any other agreements or some other conditions. Besides the price cut, the laptop arrives together with Windows 8.1 and of course Bing pre-installed. That may be a long way of saying that Microsoft is putting in a key bonus. Windows 8.1 features an app shop for getting your fix of music, apps, videos and games, and Microsoft is providing HP Stream 13 buyers a $25 in shop credit to use. 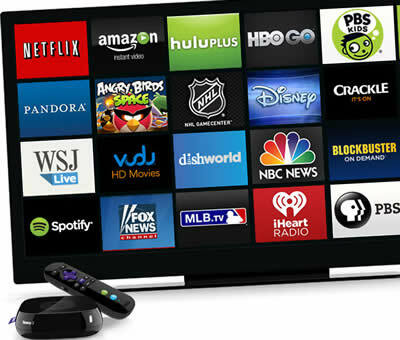 A new streaming stick is said to be coming from Walmart, but it appears that it will be supporting just the one service – Vudu. The stick set to be called the Vudu Spark, and on first impressions it seems a little limited compared to rival sticks like Chromecast, the Roku Stick and the Fire TV Stick. 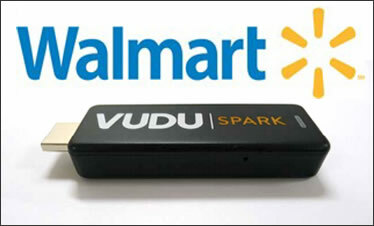 Vudu is the pay-to-view rental and purchase streaming service owned by retail giant Walmart, so the spark device sounds like a good way for it’s customers to get some streaming action easily on any TV. The stick will work as others do by connecting to a users WiFi service and this one comes with a remote control, but it seems that the ‘mirroring’ or ‘cast’ functions of other sticks will be missing leaving users with just the Vudu streaming service. Now the Vudu a’la carte service may be pretty good allowing viewers to rent or buy content, but it does already have Chromecast compatibility with the iOS and Android apps. Streaming fans will quite rightly expect a bit more choice from any device purchased, so the Vudu Spark may lose a bit of it’s sparkle when it hits the stores for a price and date yet to be announced. Another Chromecast rival has popped up, that promises to do what every other streaming stick does, that is mirror content from your PC or mobile device as well as stream from dedicated apps to your TV. 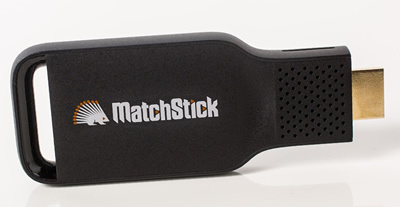 Called the Matchstick and set to retail at $25, a lower price than the Google rival, the stick runs on the Mozilla open source Firefox OS. The HDMI stick plugs into the back of any television set and connects to the local WiFi network and then your ready to ‘Fling’. 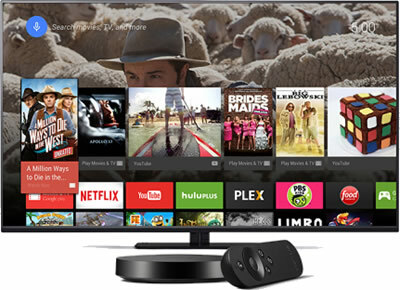 Flinging is Matchstick’s term for Mirroring or casting, and will mirror any content from a connected device to the TV set. The Matchstick is being funded via a wildly successful Kickstarter campaign, which has already smashed the $100,000 target and currently sits close to double that amount, and early investors can pick up a Matchstick for a mere $12. Amazingly the streaming stick took just one day to surpass its goal and it still has 28 days to run before the campaign is complete. The makers say that many apps will be available in a MatchStick app store at launch that include Netflix, HBO Go and Pandora, and porting apps from the Chromecast can be completed in less than an hour. The stick is expected to launch initial stock in February 2015.